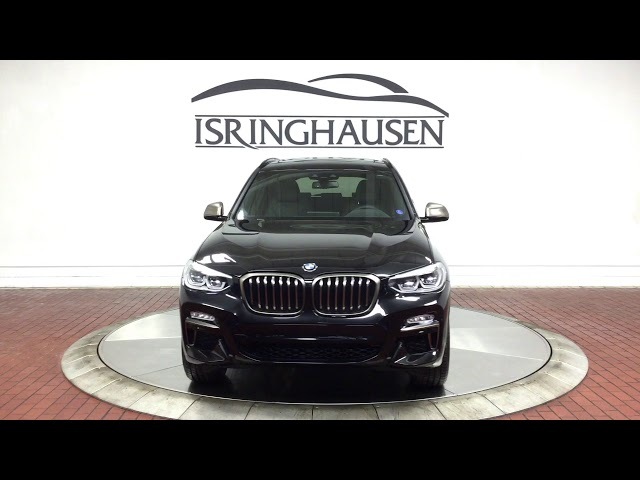 Factory options on this 2019 BMW X3 M40i in Black Sapphire Metallic include Premium Package, Driver Assistance Package, Harman/Kardon Sound System, Adaptive M Suspension, 20" Wheels and much more. Drawing it's power from a 355 horsepower TwinPower Turbo engine, the BMW X3 M40i is the first-ever M Performance SAV by BMW. With a segment best 0-60 time of 4.6 seconds and everyday utility, the X3 M40i is the perfect mix of performance, luxury and drivability. Contact a BMW sales specialist today by calling 877-362-9715. Isringhausen Imports is Central Illinois' premier new car, used car and certified pre-owned (CPO) dealership for quality BMW, Porsche, Volvo and Mercedes-Benz vehicles. At Isringhausen Imports, we have become a leader in the industry by working each day towards the greater good of our customers, our fellow employees, and our community.